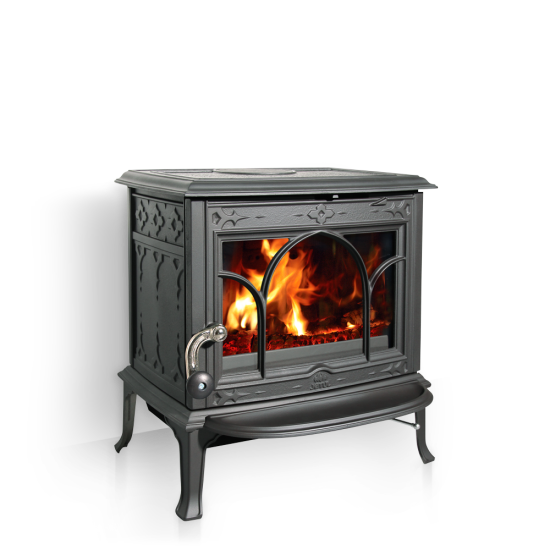 The Jøtul F100 offers all the sophistication and styling of traditional Jøtul quality, integrated with the latest heating know-how, to bring you a stove that has been well thought-out when it comes to the needs of typical homes. Sized to fit most fireplace openings, measuring only 570 mm (H) by 526 mm (W) by 336 mm (D). There is also a gas fuel version available with built-in grate, which allows other selected smokeless fuels besides wood to be used. The Jøtul may be small, but it doesn't lack any heat output. Capable of providing 5.5 kW's heat, 'Air wash' and cleanburn systems all as standard. 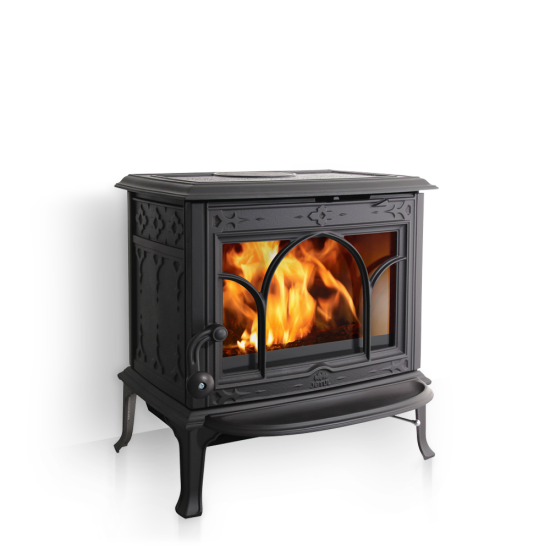 Jøtul F100 with gothic tracery door comes as either a dedicated woodburner or with built-in multi fuel grate to burn other solid fuel besides wood. Both these models come in either black paint, blue black or pewter enamel. There is a plain door version available with the multi fuel grate in built as standard, this only comes in a black paint finish.